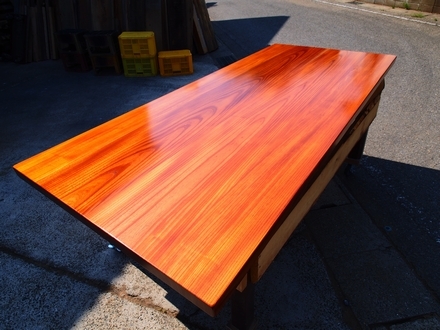 We made a delivery of Zelkova table set. The zelkova came from a 130 year old house. It was used as a pillar supporting the house. 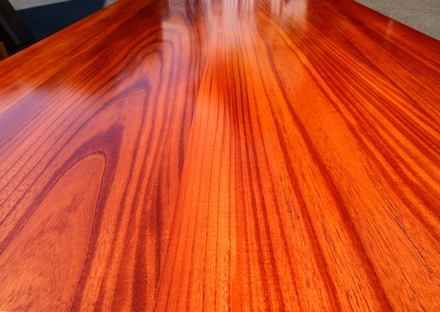 If the wood is treated right it can last for hundreds of years. 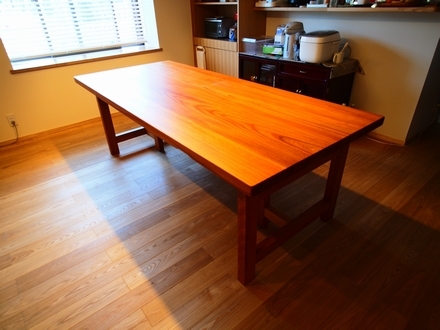 The customer wanted to make them into a new furniture and orderd Kiraku to make a large table. 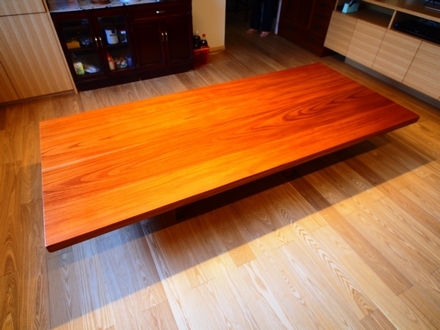 The table top is made from 4 pieces of zelkova slabs fitted together which was designed to show the grain beautifully. 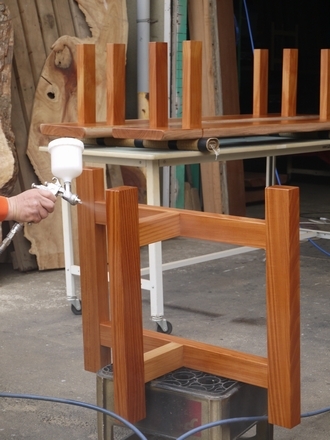 The legs are made from the same zelkova, too. The customer was very happy to see the reformed zelkova. It's a start of the zelkova's new life!